Courtesy Marriott Vacation Club International: A rendering of the new living room and diningareas in a Marriott’s Crystal Shores villa. The New Year promises to be memorable for the Marco Island Marriott Beach Resort, Golf Club and Spa, and the nearby Marriott’s Crystal Shores. Both are in the midst of major construction projects that dramatically expand and improve facilities and offerings for guests. With work proceeding on schedule, everything is on target for completion dates in 2017, said officials from the two hotels. The Marriott is in the second and last phase of a $250 million project that will see the resort ascend, in January, from a Marriott to the more upscale J.W. Marriott brand. It will be the company’s first beachfront resort in the continental United States. Overall, the two-phase project’s enhancements will result in expanded meeting space, additional guest rooms, a new exhibit hall and more. Creation of the Banyan and Calusa Ballrooms, with new meeting space and a new exhibit hall. All slate to open in mid-May. Construction of the 94-room, adults-only Lanai Tower, featuring a rooftop pool, a restaurant with celebrity chef and a 12,000 square-foot, state-of-the-art, indoor entertainment center. Slated to open next fall. The availability of all hotel amenities, including Quinn’s pool, the Tiki Pool, the spa pool, the beach and all scheduled activities. Everything is now open. Full availability of the resort’s nine restaurants, which all feature new design concepts and menu offerings. The last restaurant to debut was 400 Pazzi’s, which opened Nov. 21, with a new menu featuring Italian-inspired, scratch cooking that emphasizes the use of local ingredients. main resort, the Lanai Tower, a new exhibit hall, a new beachfront Tiki Bar, refreshed restaurants and more. Now in its 45th year of operation, the Marco Marriott offered 726 guest rooms and suites and 57,000 square feet of meeting and event space, before work began. The resort also features three miles of beach frontage, two private, 18-hole championship golf courses and a 24,000 square-foot, full-service spa. 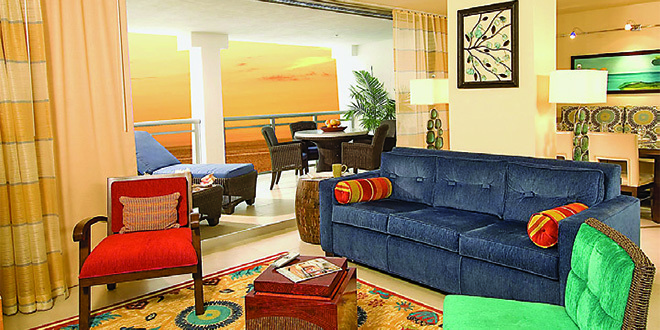 Guests can also indulge in sailing, parasailing, kayaking and jet skiing. Work at Marriott’s Crystal Shores began in January of 2015 and when completed next summer or fall, the beachfront, timeshare resort will have three towers instead of one, raising the total number of villas from 71 to 219, said Ed Kinney, global vice president of corporate affairs and communications for the resort’s owner, Marriott Vacation Club International. 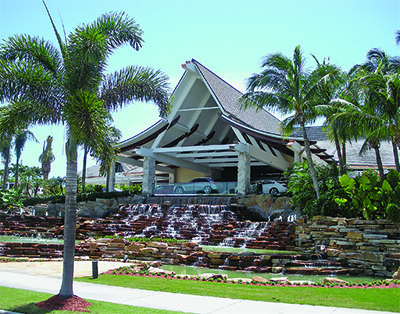 Marriott Vacation Club International is a separate company from Marriott International, owner of the Marco Island Marriott Beach Resort, Golf Club and Spa. The new towers will have a lobby and guest reception area, a porte cochere and a plaza level, along with new entry roads, landscaping, courtyards and aquatic features. A second 13-story tower is being added to the existing spire of that height, as is a 10-story tower, all situated off S. Collier Boulevard. Each tower will have two-and-three bedroom villas, with guest parking at ground level. A fitness area, the kids and teens room and a convenience store will be located in one of the new towers. “It will be very, very nice,” Kinney has said, while explaining that company policy barred him from discussing the project’s cost. One new tower will open in the spring. It will have 36 villas, 27 two bedroom and nine three bedroom, a lobby, an outdoor breezeway, the fitness center, the kids and teens room and the Marketplace convenience store. There will also be a casual-dining restaurant, but a name has not been chosen for it yet, said Kinney. The second tower, slated to be completed in the summer or fall, will have 89 two-bedroom and 23 three-bedroom villas.